So suffice to say finding the perfect cut and style seem to be a perpetual uphill battle for me. I'm pretty noncommittal when it comes to styling (in other words I don't want to do it unless I absolutely have to), and since I have a super-fine and feathery texture, plus some damage from my consistent highlighting habit, I crave a haircut that will feign the look of some thickness, texture, and volume. For some background, a little over a year ago, I had a full head of keratin-bonded extensions removed and, taking the advice of my stylist at the time, I consented to a shoulder-length cut. Spoiler: I kind of hated it. Since then, I've been on a steadfast mission to grow it out. Yet, funny as it may seem, about a month ago, I got a strange itch for a change, and in a complete out-of-body experience (seriously, I should have looked around for the Stranger Things cast) I told my boss, my boss's boss, oh, and the entire Byrdie editorial team that I would let three completely unrelated people in my life choose a new haircut for me: my boss; senior editor Hallie Gould; my best friend, Jess Fitzgerald; and my go-to hairstylist since moving to L.A., Cervando Maldonado, who also happens to own one of the best (and coziest) salons in West Hollywood, 454 North. While I'd be lying if I said I didn't experience a minor bout of terror following my outburst, the fear quickly abated as I reminded myself that one of the best hairstylists in the business (Maldonado counts such women as Reese Witherspoon, Kirsten Dunst, Felicity Jones, and Rosie Huntington-Whiteley as clients) would be in charge of the final chop. So, knowing that he and my other two trusted confidantes know a thing or two when it comes to fabulous hair, I did my best to relax and take comfort in the fact that for once I wouldn't have to stress about my cut. Because officially, I no longer had any say in the matter. So, alas, I relinquished all control and asked my boss, my best friend, and my hairstylist the same question: If I had no say and you had complete and total control over my head, what haircut would you choose for me? Keep scrolling for their picks, explanations, and the final look. "The day before Erin pitched this story, I was scrolling through Georgia May Jagger's Instagram (this isn't an uncommon occurrence, as she's my not-so-secret style inspo). She keeps her bangs long and layered—like Brigitte Bardot—in a way that so perfectly complements her naturally curly hair and her smooth blowout. "So when Erin brought up the idea of this challenge, my mind went straight to Jagger. Since Erin's hair is fine, I thought the cut would add heft and volume in a way that wouldn't weigh down the root but would still feel really cool and of-the-moment (and somehow vintage at the same time?). It checks all the boxes." Though I technically wasn't really allowed to respond or influence her in the matter of choosing my new haircut, I admittedly became a bit giddy when I saw Hallie's inspiration board of hair looks featuring none other than Georgia May Jagger. Little did Hallie know (I swear) that Jagger is one my favorite models and a constant inspiration for me when it comes to beauty—especially in terms of her hair. Ultimately, I loved the idea of keeping my length (phew!) and updating my look with some fresh fringe instead. That, I thought to myself, I can handle. "First of all," she told me, "you have an amazing profile and killer cheekbones—this cut would really emphasize those features. Plus, your hair is on the finer side, and these bangs would creat insta-volume—my favorite, as you know. You also wear your hair up a lot so adding a fresh set of bangs would take that signature topknot of yours to the next level." Since I hadn't seen Maldonado for a couple of months, he initially had something entirely different, and very drastic, in mind for my new cut (think 1980s Debbie Harry). However, the second I stepped into the salon, he couldn't get over how much longer (and apparently healthier) my hair looked. Therefore, it only took a couple of seconds for him to quickly shake off his previous approach (aka to chop off my hair in the name of health) to showcase my burgeoning strands. His new M.O. : keep it fresh and updated with a killer set of bangs. "The look I chose is inspired by the French and American starlets of the late '60s and early '70s à la Françoise Hardy, Brigitte Bardot, Sharon Tate, and then I updated it with a modern twist similar to Hallie's choice of Georgia May Jagger or an icon like Kate Moss." Disclaimer: As an old soul who's particularly devout to that generation of iconic beauties, I was not opposed to Maldonado's vision. 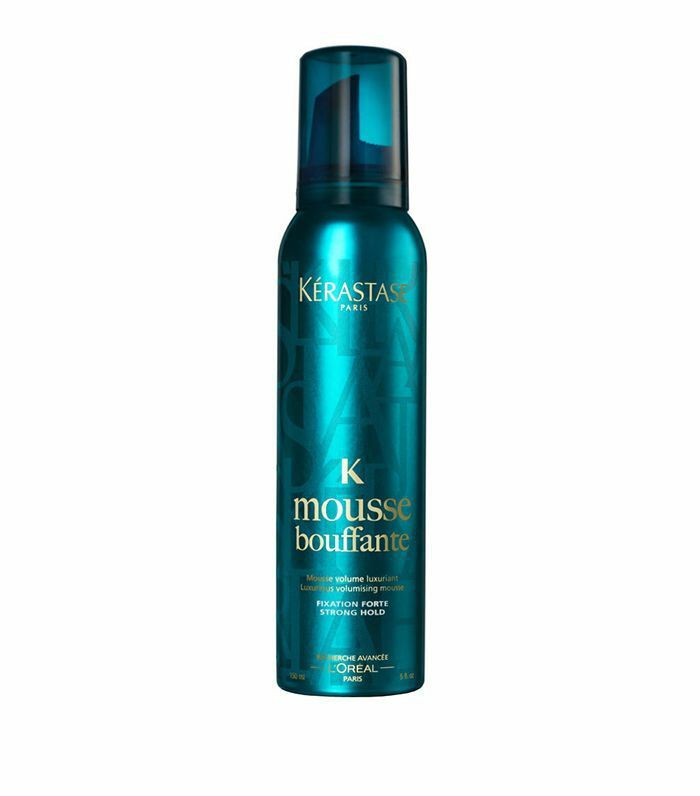 To prep my hair for volume and some healthy movement, Maldonado worked a small dose of this lightweight mousse from the roots to ends of my hair. It's also fortified with vitamin D (plus UV and heat protection) for added protection. Maldonado has praised this fan-favorite dryer before, and for good reason. 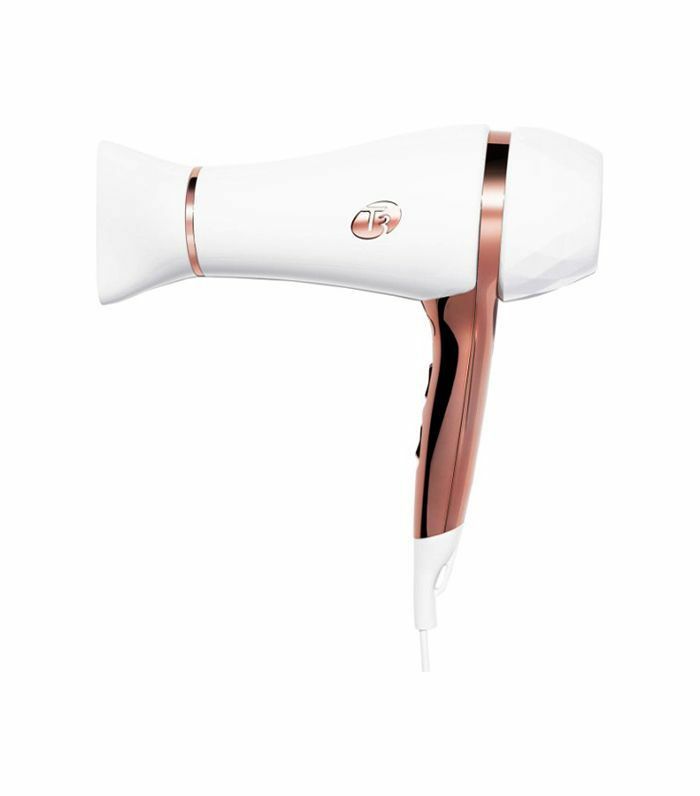 "The combination of the tourmaline and soft air technology is great for quick, healthy, and frizz-reducing drying," he says—exactly what my new haircut will call for on the days I opt to heat style it. His tip: "Rough dry your hair almost all the way, and then go in and lightly brush through the hair with a boar-bristle brush until the hair is slightly smoothed for a natural texture." 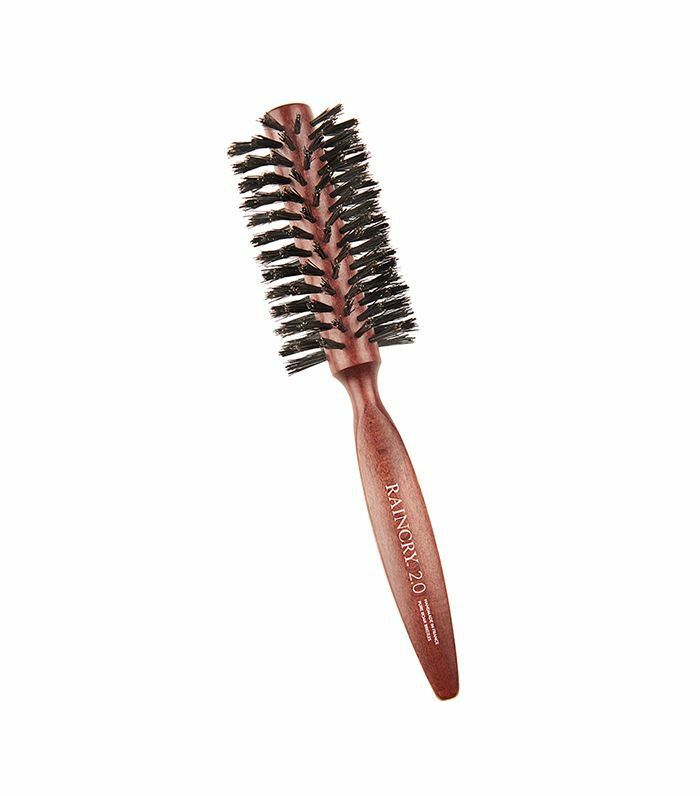 As he blew out my freshly trimmed fringe, Maldonado explained that the key for styling my bangs would be to utilize a small, round boar-bristle brush like this one from Raincry. After my bangs were about 85% dry, he began using the brush to precisely work my bags down and out (like a mini Farrah flip) versus up and under, which would create a more dated look. Next up: How a celebrity esthetician, a nutritionist, and a makeup artist solved my hormonal breakouts.